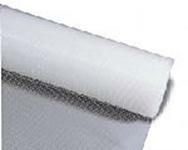 Netting offers several advantages over insulation supports. Does not rust or retain moisture and once installed, it provides easy access to structure for expansion or repair. Also as a backer to hold wet spray as well as temporary face before installing sheetrock. The 1? x 2? is great replacement for wire batt hangers. 4' x 250'. 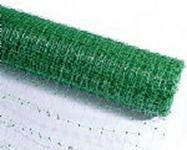 4' x 250' Netting offers several advantages over insulation supports. Does not rust or retain moisture and once installed, it provides easy access to structure for expansion or repair. Also as a backer to hold wet spray as well as temporary face before installing sheetrock. Use the 1/4? where greater strength is required and for fireproofing spray applications. 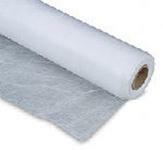 4' x 500' Netting offers several advantages over insulation supports. Does not rust or retain moisture and once installed, it provides easy access to structure for expansion or repair. Also as a backer to hold wet spray as well as temporary face before installing sheetrock. Use the 1/4? where greater strength is required and for fireproofing spray applications. 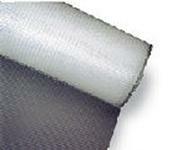 4' x 250' Netting offers several advantages over insulation supports. Does not rust or retain moisture and once installed, it provides easy access to structure for expansion or repair. 1/6? works well for walls. Also as a backer to hold wet spray as well as temporary face before installing sheetrock. 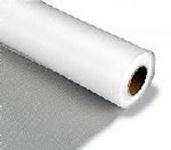 4' x 500' Netting offers several advantages over insulation supports. Does not rust or retain moisture and once installed, it provides easy access to structure for expansion or repair. 1/6? works well for walls. Also as a backer to hold wet spray as well as temporary face before installing sheetrock. Netting offers several advantages over insulation supports. Does not rust or retain moisture and once installed, it provides easy access to structure for expansion or repair. 3/16? work well for walls. Also as a backer to hold wet spray as well as temporary face before installing sheetrock. 4' x 250'. 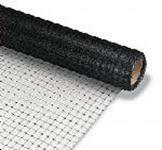 Netting offers several advantages over insulation supports. Does not rust or retain moisture and once installed, it provides easy access to structure for expansion or repair. Also as a backer to hold wet spray as well as temporary face before installing sheetrock. Use the 1/4? where greater strength is required and for fireproofing spray applications. 4' x 250'. This is our strongest spray fabric at 1.5 tensile strength. 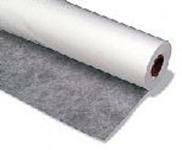 PolyWeb is ideal for spraying insulation against or behind as well as many other applications. This fabric has a 1.2 tensile strength.